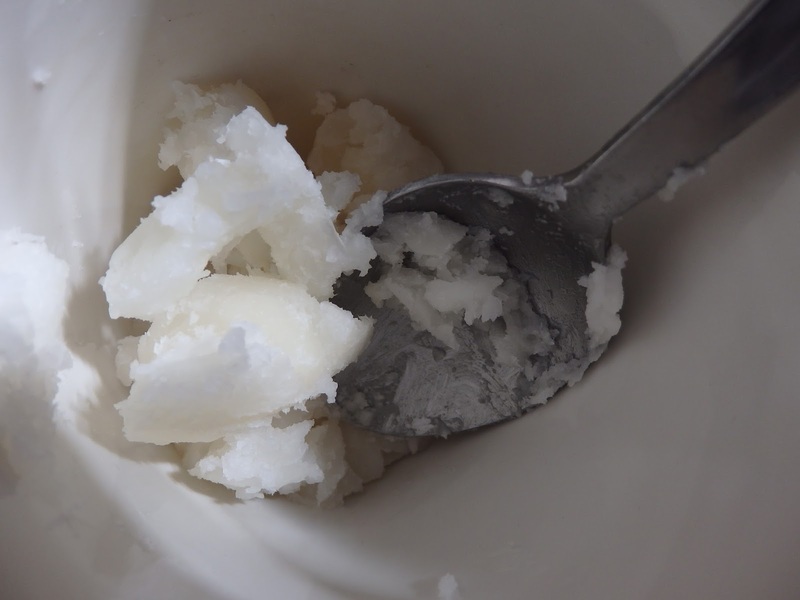 Coconut oil seems to be everywhere, from swilling it around your mouth to frying your eggs in the morning it is most certainly 'having its moment'. As some of you may be aware I have weave in hair extensions (that's what the darker line on my head is, you see my hair with lighter roots under then the dark weave with hair attached) , this is a method with no glue or heat so I can use any conditioning product I like as there is no glue to protect. 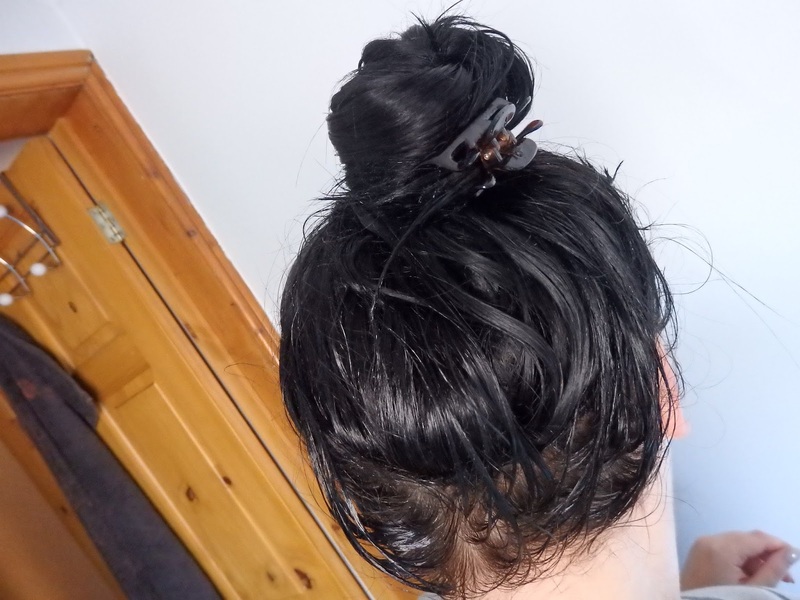 I have tried so many hair treatments and spent up to £40+ on one tub to try and find something that actually helps the condition of my hair, as for the extensions they have no natural oil going into them so can easily dry out if not taken proper care of. Discovering this in my kitchen cupboard made me think...it is often an ingredient in haircare so what the hell. I melted down around three tablespoons in the microwave for one minute I then sectioned my hair and took this from scalp to ends. I was a tad dubious about putting it on my scalp but luckily all was well. After 2 hours I shampooed it off - I did shampoo twice to make sure no residue was left. 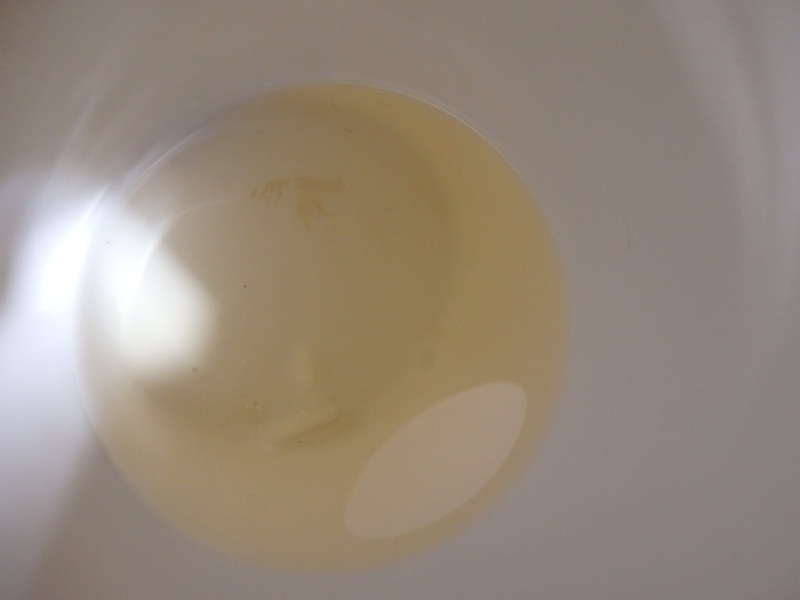 I noticed a difference whilst my hair was still damp and is dried quicker, was less knotty and more manageable. Once my hair is dry it needs less serum to tame puffiness and just looked better. I wash my hair once a week - you may think that is a little gross but any girls out there with a weave will back me up here! So I am currently sat with my hair up high on my head taking in the coconut goodness once again. 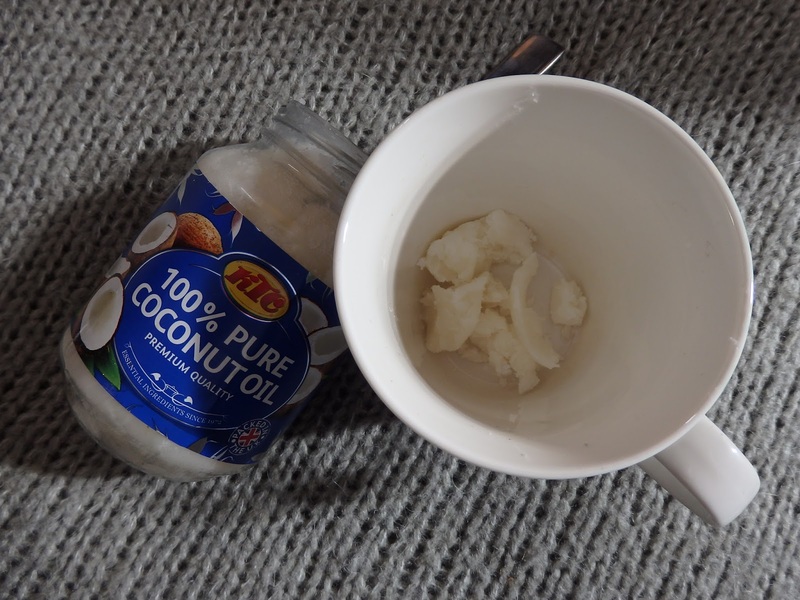 I purchased this tub from an Asiana store for £1.99 so please don't get ripped off by Holland & Barrett or Urban Outfitters (like I said coconut oil is becoming ever so trendy). Just grab yourself a bargain and you will feel the benefits. So now it sorts my hair, breakfast, teeth & skin....I wonder if it will walk my dog for me?